News - Professor Lee delivered keynote speech at 13th CII-NID Design Summit conference. Professor Lee delivered keynote speech at 13th CII-NID Design Summit conference. 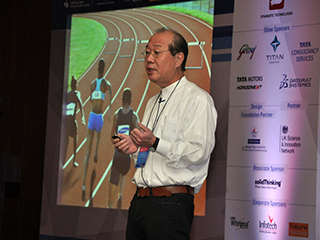 Professor Lee delivered keynote speech at 13th CII-NID Design Summit conference at New Delhi India (http://www.ciidesign.in/about-speaker.php) on Nov. 27th and participated as Jury for CII Design Excellence Awards 2013.